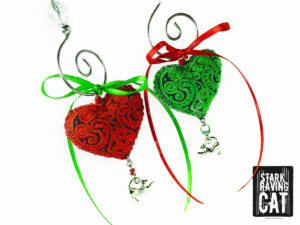 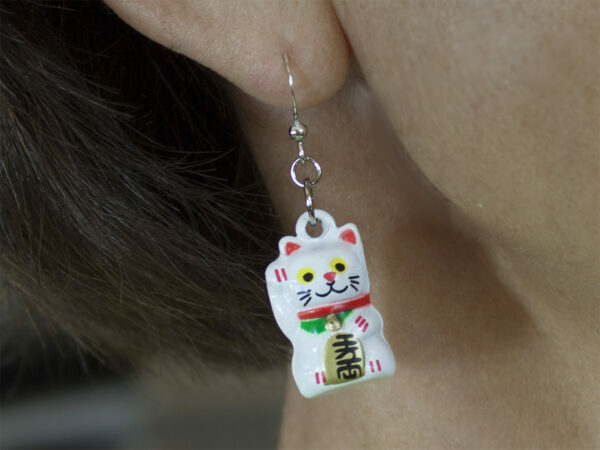 Dangling Neko bells jingle with every head swing. 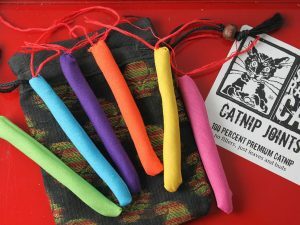 We handmake each set and mount them on adorable black cat cards, with earnuts to hold them in place. 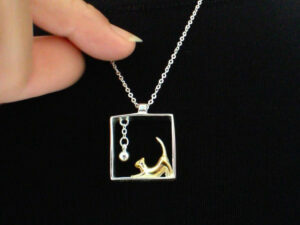 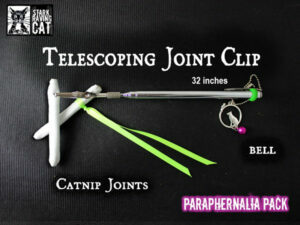 Perfect gift for cat ladies and cat lovers. 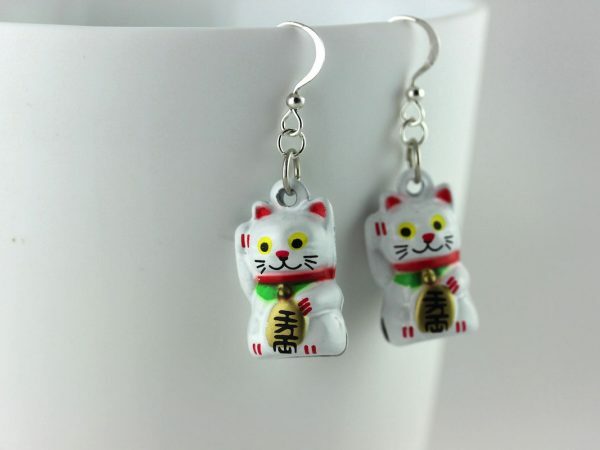 Neko is the Japanese Lucky Cat. 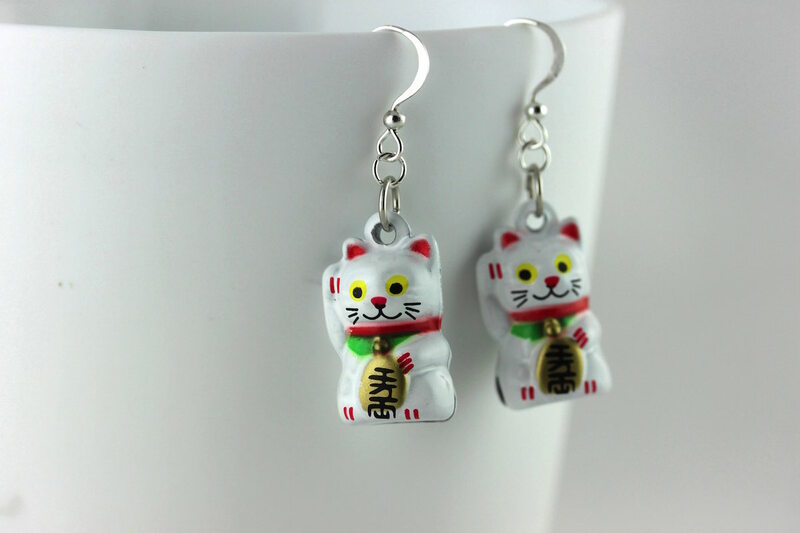 This particular Neko is so sweet, with paw raised and beckoning smile. 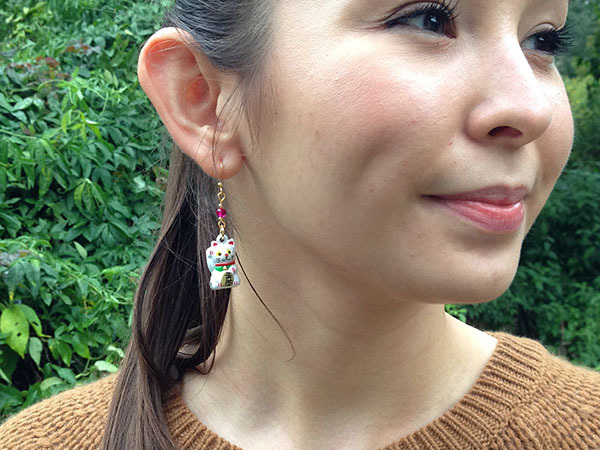 The tinkling sound is one of the prettiest we’ve come across – it’s a copper bell but lightweight and comfortable. Learn more about the Neko tradition here. 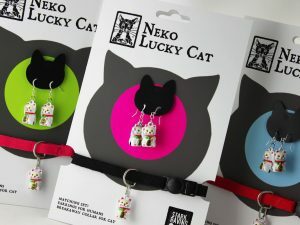 We also offer earring sets with matching Neko bell collar for your cat: Neko Earring and Collar Set.